On this date in our family history . . . the 18th day of February . . . in the year 1864 . . . Henry Hobbs dies in Harrison Village, Cumberland County, Maine . . . and is memorialized with a tombstone in the Maple Ridge Cemetery in Cumberland County . . . this Henry is a 4th great-grandpa to the Keeper of this family history blog . . .
On this date in our family history . . . the 4th day of February . 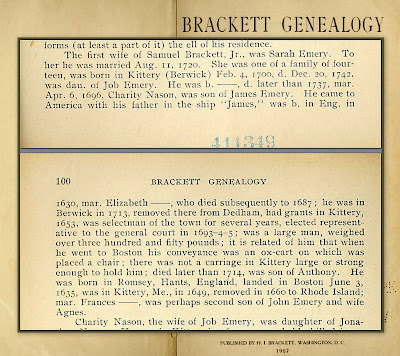 . . in the year 1700 . . . it is said that Sarah Emery was born in Kittery (Berwick) in Maine . 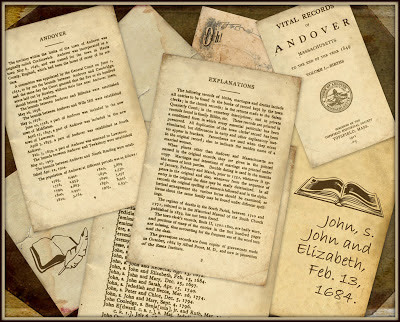 . . this Sarah is a 7th great-grandma of the Keeper of this family history blog . 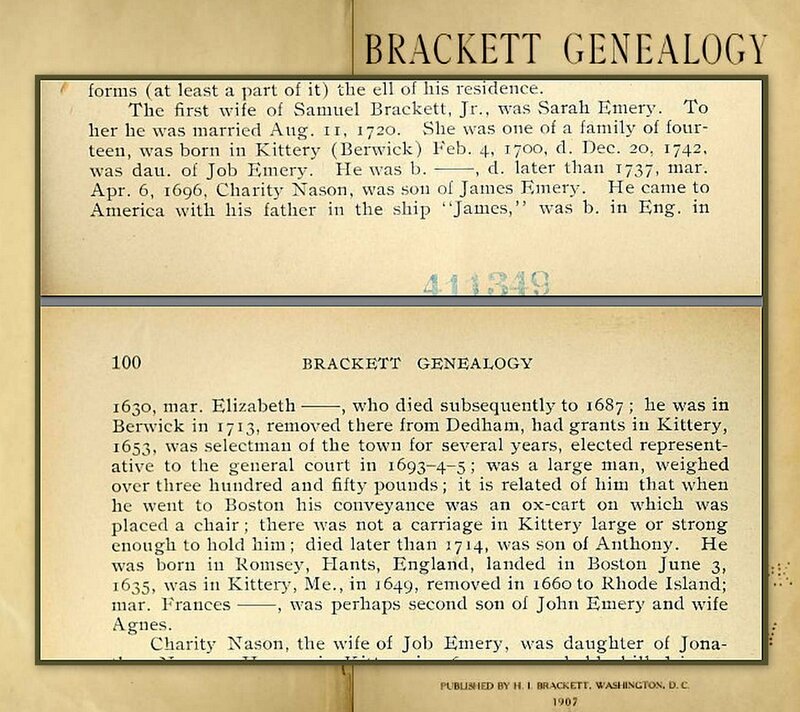 . . and this info is as recorded in the Brackett Genealogy by H.I. 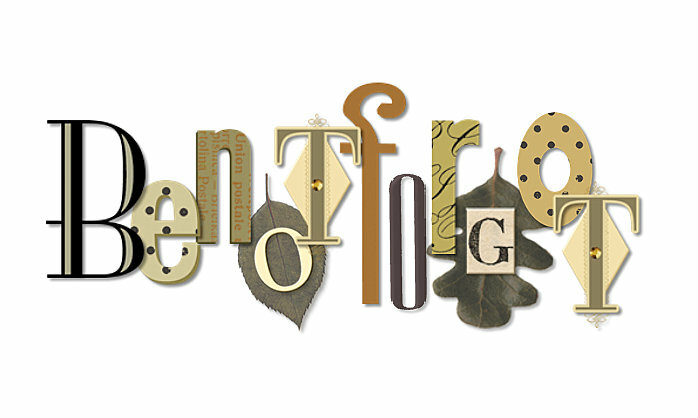 Brackett . . .